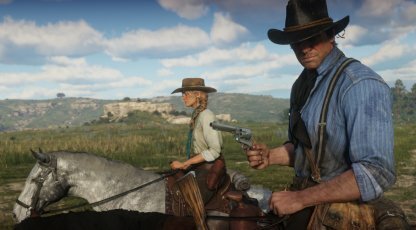 Find out the best ways to earn money in Red Dead Redemption 2 from this guide! 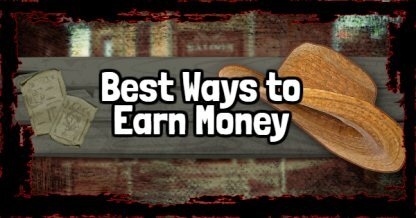 This includes guides on hunting for profit, robberies, bank heists, & more! Story Missions will offer you chances to earn big money by participating in gang heists and missions! 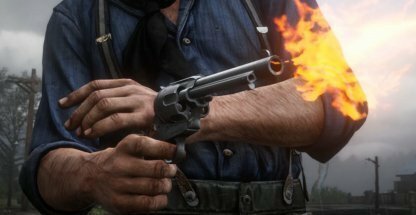 Some gang missions will have you going back to camp with thousands of dollars in your pockets. Side Quests are also a good way to getting a bit of money quickly as most have rewards. 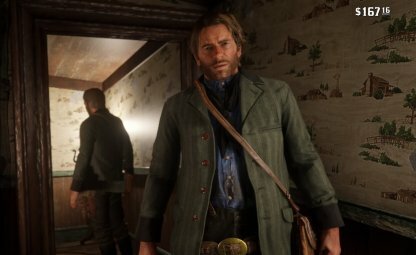 There are even side quests like the Jack Hall Gang Treasure Stranger Mission that will have you find gold bars! Going around towns, you'll most likely get some random encounters to help some people out. It's recommended to help them out as it's fairly easy at times and you'll get a reward for your services. Hunting and selling animal meat and parts can provide a steady income for you! There are a wide variety of fish and animals that you can hunt and bring to a local trader for good pay. The fresher and cleaner the meat, the more it sells. Shot position, weapon, and meat condition plays a part in how much the meat will sell for to butchers and traders. 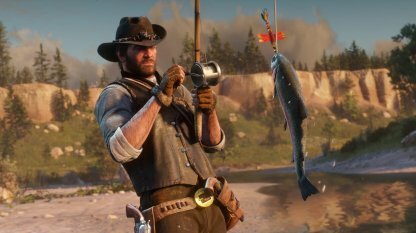 There are a number of species of fish that you can hunt for in Red Dead Redemption 2. Some only live in certain bodies of water and can only be attracted by specific baits. 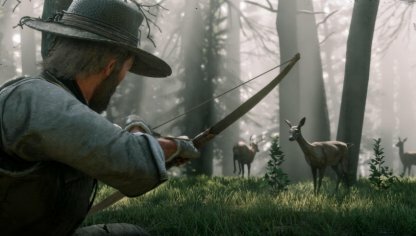 Arrows and small caliber weapons are less destructive to animal meat and can shoot without alerting or spooking other animals in the area. Robbery and heists are high risk, high profit ventures! There's a risk in failing and getting yourself a hefty bounty on your head, but pull it off and you'll get a big payout for all your troubles. 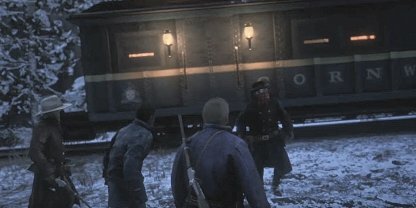 You won't get to rob trains or banks immediately in the game. 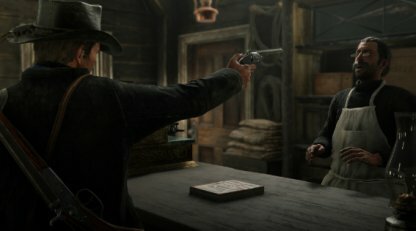 You'll have to advance through the Main Story first to be able to unlock Bank Heists and Train Robberies. 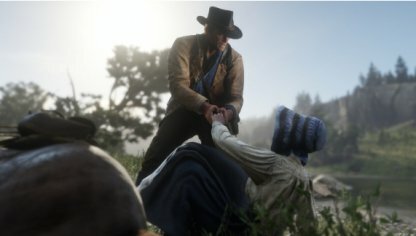 You can also rob people you find along the way for their cash and items. This is best done outside of cities and towns or inside shops where there are no lawmen to stop you. 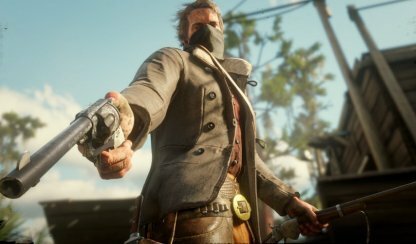 You can also wear a Bandanna to prevent getting bounties. However, if there's a lawman that witnesses the robber, he will still chase after you even if you're wearing the Bandanna. 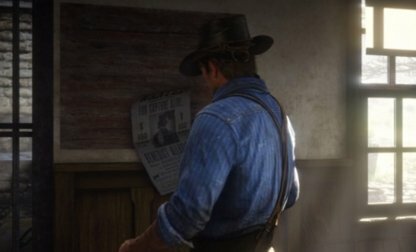 Head on to the sheriff office and get a few wanted posters to hunt down criminals. You will receive a payment by bringing in criminals whether they're dead or alive. Criminals brought in alive are worth more than bringing in a corpse. It might be a bit more work to bring them in alive, but the payout is worth it. 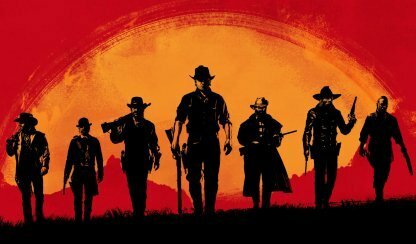 Wild Horses roam the lands in Red Dead Redemption 2. These horses can be captured and tamed to be domesticated, then sold off as riding horses! 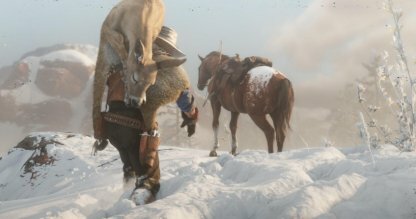 Capturing a horse doesn't automatically tame it. You will have to calm and "break" their spirit by riding them to form a bond before selling them at Ranches. Stolen horses will not sell for their original value at the ranch. If you are looking for an honest profit, try tracking down rare wild horses. 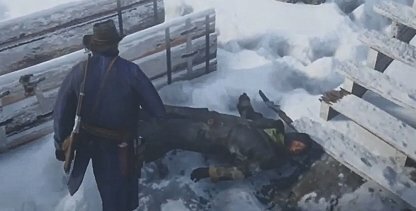 Throughout your gameplay, you will run across quite a number of dead bodies. Best to loot them for their money and items that you can sell off later for a quick buck! If you intend on murdering for a living, don't do it near cities and towns. This will net you a hefty bounty that will surpass the amount you'll get from the dead body. 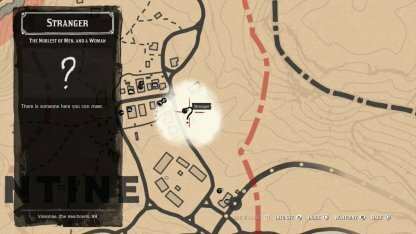 You can turn in your stolen goods at Fences for good amount of profit after a successful robbery. 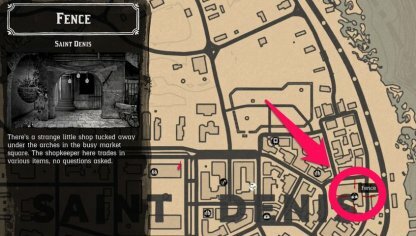 Fences can be found near towns at locations such as ranches or trade posts. 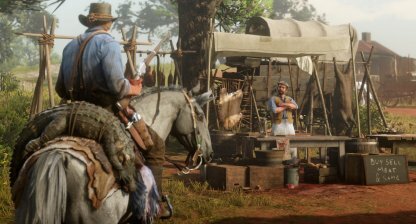 While hunting for treasures in the wild west, you have a chance to find Gold Bars in specific locations. These Gold Bars can be sold at the Fences for $ 500 each, and in most cases you will acquire multiple of these bars.